16 1/4 x 12 1/4 in. 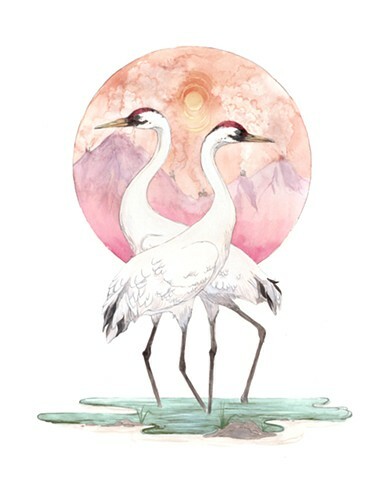 Prints of this work are available through The Endangered Species Print Project, where 50% of the purchase price will be donated to Operation Migration, supporting Whooping Crane (Grus americana) conservation. There are only an estimated 437 of these magnificent birds remaining in the wild.